In the gospel of Luke, as early as chapter eleven, we see Jesus in the controversy with the Pharisees which gives color to the story under question.1Kim Papaioannou, The Geography of Hell in the Teaching of Jesus: Gehena, Hades, the Abyss, the Outer Darkness Where There Is Weeping and Gnashing of Teeth (Pickwick, 2013), 113. There, Jesus is invited to dine at a Pharisee’s table and with three “woes” he condemns their traditions and rituals (11:37–44): the way they treat the poor, the double standard of their tithing, and their prideful way of being first-class in society (11:41–43). With their hypocrisy being criticized, the Pharisees are insulted and they push back in an attempt to trap Jesus with his words (11:53–54). 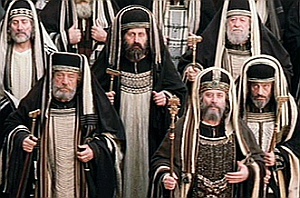 Jesus then warns his disciples of the hypocritical “yeast of the Pharisees” (12:1).2Unless otherwise noted, all biblical passages referenced are in the New International Version (Grand Rapids, MI: Zondervan Publishing House, 1984). 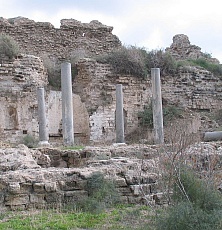 This controversy continues in chapter fourteen, and again we see Jesus eating at a well-known Pharisee’s house. The situation gets tense when Jesus heals a man in his presence who was “suffering from dropsy” (14:2), and questions arise “over whether it is lawful to heal a sick man on the Sabbath.”3Papaioannou, 113. 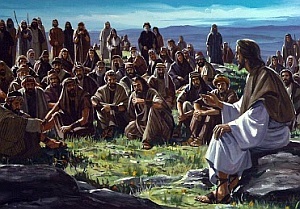 The social setting reveals that the Pharisees will commonly “socialize in a closed circle to the exclusion of persons of lower social standing,”4Ibid., 114. such as the sick man in their midst, and Jesus takes the opportunity to tell two parables about what true hospitality looks like.5Luke 14:8–11 and 14:16–24. In telling them these parables, he condemns their “social and spiritual exclusiveness,”6Papaioannou, 114. and the Pharisees complain among themselves, “This man welcomes sinners and eats with them” (15:2). It is helpful to note that these conflicts occur around the dinner table, and the context of Jesus’ teaching further sheds light on the story of the Rich Man and Lazarus. 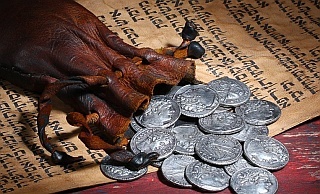 In the verses leading up to our story, Jesus focuses his attention on the disciples and tells them the parable of the Unfaithful Steward (Luke 16:1–13), which “deals primarily with the right and wrong use of money, and so does Jesus’ exposition.”7Ibid. Even though this parable was addressed to the disciples, it is said that the Pharisees, “who loved money, heard all of this and were sneering at Jesus” (16:14). The Pharisees were rich and they knew it, and Jesus comes in direct conflict with it and challenges their love of money. It seems appropriate then, that this story “of the Rich Man and Lazarus is built on the previous conflicts between Jesus and the Pharisees and gathers together the issues of the social exclusiveness of the Pharisees and their love of money.”8Ibid., 115. That this story is characterized as a parable is often under dispute because of the “unique naming of Lazarus.”9Darrell L. Bock, “The Parable of the Rich Man and Lazarus and the Ethics of Jesus,” Southwestern Journal of Theology 40 (Fall 1997): 64. The claim is that since no other parable uses an actual name, Jesus must be referring to a real person in an historic event.10Grant R. Osborne, The Hermeneutical Spiral: A Comprehensive Introduction to Biblical Interpretation, Revised and Expanded (Intervarsity, 2006), 534. However, there are no known rules that disallow parables to include proper names. The fact that Jesus uses a name might mean that it is not a parable, but it could also mean that he wanted to express some other message by including a name for one person and not the other. As several scholars have pointed out, the name Lazarus “in Hebrew is a contraction of the name Eleazar, [which] means ‘God helps.’ So, the name shows the point of the story.”11Bock, 64. Thus, the significance is placed on the meaning of the name Lazarus rather than the fact of his naming.12Osborne, 534. The Rich Man, in contrast, did not receive a name, which is likely “Jesus’ way of inviting his money-loving listeners to provide their own!”13Joel B. Green, The Gospel of Luke, NICNT (Eerdmans, 1997), 606. In addition, Luke 16:1 starts with the exact same words (“there was a rich man…”) as in the parable, “There was a rich man…” (16:19a). It should be noted that Jesus uses very similar phrases to introduce many of his other Lukan parables (i.e. “a certain man…” Luke 14:16), and in most of these introductions, the Greek indefinite pronoun τις is used.14Edward William Fudge, The Fire That Consumes: A Biblical and Historical Study of the Doctrine of Final Punishment, 3rd ed. (Cascade, 2011), 149. Luke 12:16; 14:16; 15:11; 16:1; 16:19; 18:1-2; 19:11-12; 20:9. For these reasons and many others discussed in the works cited, it is more likely than not “that a parable is present.”15Bock, 65. This parable is layered with several cultural and sociological points of relevance to the Middle-Eastern audience. In the first three verses, we are introduced to the Rich Man (hereafter Dives)16The Rich Man is “often called ‘Dives,’ because that’s the Latin word for ‘rich.’” N. T. Wright, Luke For Everyone (Westminster John Knox, 2004), 200. and Lazarus with the use of “extravagant parallelism,” and this is seen from beginning to end.17Green, 605. Dives is filthy rich, and he flaunts it with how he dresses in “purple and fine linen” (16:19a). Purple clothes resemble royalty for it was “extremely expensive, and only the truly wealthy could afford it.”18Kenneth E. Bailey, Jesus Through Middle Eastern Eyes: Cultural Studies in the Gospels (Intervarsity, 2008), 382. Even though wearing white clothes “indicated membership among the elite, they were regarded as modest” compared to purple clothes.19Green, 605. Furthermore, in using some parabolic humor, Jesus portrays Dives not only flaunting his outer clothes, but also wearing fine linen. This fine linen (βύσσος) “refers to quality Egyptian cotton used for the best underwear.”20Ian H. Marshall, The Gospel of Luke (Paternoster, 1978), 635. Also, Dives “feasted sumptuously every day” (16:19b; ESV). The portrait that Jesus paints here is in light of the parable of the lost son in 15:11–32. To celebrate the returning son, the father hosted a large party and ordered a “fattened calf” (15:23) to feed all the guests. Dives lived “in an economy where even the rich could only afford to kill a calf occasionally,” but for him, it was a daily occasion.21Green, 605–6. In contrast to Dives, “at his gate was laid a beggar named Lazarus, covered with sores” (16:20). That Lazarus “was laid” (ἐβέβλητο) at Dives gate reflects the common practice of community care in the Middle East.22Bailey, 383. Since Dives was the only one in town who could meet the needs of Lazarus, every day the people in the community would carry Lazarus to the gate of his estate with the hope that Dives may eventually show compassion and care, but none is given.23Ibid. Just like the Lost Son “longed” to eat pig food (15:16), Lazarus longed to eat the food that “fell from the rich man’s table” (16:21a). The usage of the verb “longed” (ἐπιθυµέω) refers to “something a person wants but is unable to have.”24Ibid., 384. This poor man suffering from hunger and pain, is then associated with the dogs who came and licked his open sores.25It is unknown whether the licking of Lazarus’ sores by the dogs was a form of continued abuse (Joel Green) or one of relief to ease the pain (Kenneth Bailey). Discussion surrounds the usage of the word ἀλλά and whether it functions as a similarity or contrast (e.g., Are the dogs in continuity or contrast with Dives’ situation?). Then the parable reveals the deaths of Lazarus and Dives. It is implied that Dives is honored in receiving a burial but Lazarus was shown disgrace by not being buried (16:22).26Green, 607. In the Jewish mind, for one not to receive a burial, and to be “left exposed as carrion for scavenger animals, was tantamount to bearing the curse of God.”27Ibid. In such conditions, Lazarus appears to be “a person whom God did not help,” while Dives is one who is honored by receiving an honorable family burial.28Bailey, 383; italics in original. The parable follows each man unto death, and Dives finds himself in Hades, in torment, and sees Lazarus far away comforted at Abraham’s side. He cries out to Abraham, his father, for help. Quite ironically, Dives “assumes that Abraham is still his ‘father’ and that Lazarus, whom he knows by name but has never helped,” is still there to “carry out errands on behalf of a wealthy man like himself.”29Green, 608. That Dives calls Abraham “father” in this situation is preposterous given the “long-standing tradition regarding Abraham as a model of hospitality to strangers” (Genesis 18:1–15), and he continues to argue from his apparent family connection throughout the parable (16:24, 27, 30).30Ibid. Dives’ desperate request for relief and comfort are rejected for two reasons. First, just like the “eschatological reversal” foreshadowed in 6:20–24, Dives is the “victim of his own choices.”31Ibid. Dives lived a life of comfort, and now he is in agony; Lazarus “received bad things, but now he is comforted” (16:25). “The great chasm has been fixed” (16:26a), and no one can cross over from either side. The great reversal is forever irreversible. This great reversal has parallels in extra-biblical literature, and will receive attention below. After Dives’ request for relief is rejected by Abraham, and any chance of his own escape also denied, he cries out in even more desperation, “I beg you, father, send Lazarus to my father’s house . . . to warn [my five brothers] so that they will not also come to this place of torment” (16:27–28). Abraham refuses to grant this request and says that Dives’ brothers should listen to “Moses and the Prophets” (16:29). “This phrase is a known Jewish idiom which stands for the Hebrew Scriptures,”32Ferdinand O. Regalado, “The Jewish Background of the Parable of the Rich Man and Lazarus,” Asia Journal of Theology 16 (2002): 345. and it also “ties in the immediate context of the parable in 16:16–18 about the immutability [and perpetuity] of the Law.”33Papaioannou, 129. Clearly, the Holy Scriptures were all the brothers needed in pointing them in the right direction. Here, Dives responds with a firm “No,” and explains that “if someone from the dead goes to them, they will repent” (16:30). Dives is convinced that his brothers would repent if they “witnessed a returned Lazarus.”34Ibid. But Abraham still refuses because, “if [the brothers] do not listen to Moses and the Prophets, they will not be convinced even if someone rises from the dead” (16:31). Dives and his brothers were consumed with their wealth and pleasure and failed to care for Lazarus at his gate. Nothing could save Dives’ brothers; not even a returned Lazarus, if they do not heed to the warnings of Scripture. There are differences in the way the word ᾅδης has been translated (“in ᾅδης, where he was in torment” 16:23). Most of the major English translations chose to use the Greek transliteration Hades (e.g., NIV, NASB, ESV, NRSV), whereas the KJV is infamously known for its usage of Hell, and yet a couple opted for the phrase “the place of the dead” (e.g., NLT, CEB). Hades (ᾅδης) is used a total of ten times in the New Testament (NT), and it is always referring to the place of the dead.35Matt 11:23; 16:18; Luke 10:15; 16:23; Acts 2:27, 31; Rev 1:18; 6:8; 20:13, 14. If Jesus were to use this parable to describe what happens to the wicked in Hell (i.e., in the Final Judgment), he would likely have used the word Gehenna (γέεννα) instead.36Matt 5:22; 5:29; 5:30; 10:28; 18:9; 23:15; 23:33; Mark 9:43; 9:45; 9:47; Luke 12:5; Jas 3:6. In addition, since the five brothers are still alive while Dives is in torment, it is unlikely that the final resurrection or judgment has taken place. Theologically, in this regard, “the possibility of a coherent eschatology in the parable is dropped altogether.”37Papaioannou, 127. During the intertestamental period, the doctrine of the immortal soul “altered the concept of Hades” due to “Persian and Hellenistic influence.”39Silva, 1:154. With this alteration, Hades no longer functioned as the place where all souls go to, but only where the unrighteous souls go to be punished. For the righteous souls, however, “heavenly blessedness” became their destination upon death.40Ibid. Due to this Greek influence, a fascination with the afterlife developed, “which gave rise to tales about persons returning from the dead,” as well as details pertaining to the nature of the afterlife.41Papaioannou, 120. But, the “New Testament usage of hades does not go beyond the Old Testament meaning of sheol.”42Fudge, 152; italics in original. The Resurrection language of the NT writers brought back the understanding of Hades as the place of the dead “until the resurrection of their bodies.”43Silva, 1:154. Imperative to understanding the function of this parable is to recognize the close parallels to folktales of the afterlife that were widely popular in Jesus’ time. In this parable of Dives and Lazarus, “two major narrative motives can be paralleled to other ancient literature: (1) reversal of fortunes experienced by a rich man and a poor man after death; (2) a dead person’s return from the dead with a message from the living.”44Richard Bauckham, “The Rich Man and Lazarus: The Parable and the Parallels,” New Testament Studies 37 (1991): 225. One story from Egyptian culture is about an “Egyptian magician, Si-Osiris, [who] returns from Amente, the land of the dead, to defeat an Ethiopian magician. He is reincarnated into the poor family of Setme Khamuas.”45Papaioannou, 116. At twelve years old, he finally conquered the Ethiopian magician and returns to the underworld of Amente. The point of the story is not in the magical powers of Si-Osiris, but in what happens before he returns to Amente. Sometime therein, Si-Osiris and his father Setme witness two different funerals, “one of a rich man, buried in sumptuous clothing and with much mourning, the other of a poor man buried without ceremony or mourning.”46Bauckham, 226. When the father saw this, he declared he would never want the fate of the poor man, but rather the royal burial of the rich man. But the son, Si-Osiris, knowing the nature of the afterlife, takes his father on a tour of Amente. On the tour, “they see the rich man in torment that is vividly described, while the poor man stands by the side of Osiris, the judge of humankind.”47Papaioannou, 116. There are many other stories that parallels could be drawn from, including stories “from the larger Greco-Roman world,”52Ronald F. Hock, “Lazarus and Micyllus: Greco-Roman Backgrounds to Luke 16:19–31,” Journal of Biblical Literature 106 (Sept. 1987): 455. and a potential influence from the Apocalypse of Zephaniah,53Richard J. Middleton, A New Heaven and a New Earth: Reclaiming Biblical Eschatology (Baker Academic, 2014), 231–2. 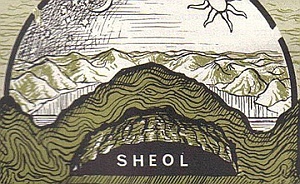 and 1 Enoch 22.54Larry Kreitzer, “Luke 16:19–31 and 1 Enoch 22,” Expository Times 103 (1992): 139–2. If our parable is considered against the background of the Egyptian and Jewish stories, the differences are more numerous than there are similarities. But “the story-line common to both is: a rich man and a poor man die and their fortunes are reversed in the next world.”55Bauckham, 228–9. It is likely that these stories were current in Jesus’ day and he would have known about them and possibly used the same genre for his own parable. But the attempt to use these parallels for understanding the eschatological reversal in the afterlife is insufficient because this kind of folklore was common throughout the “whole Mediterranean world.”56Papaioannou, 119. The parable of Dives and Lazarus seems to indicate that Dives suffers in Hades just because of his abundance of wealth in this life, while Lazarus was “blessed in the next life just because he was poor in this life.”57Bauckham, 233. We may interpret the parable as teaching such a thing, but then we run into moral problems, “especially if the brevity of this life is contrasted with the eternity of the next.”58Ibid. The point of Jesus’ usage of eschatological reversal, is to show the “juxtaposition [and intolerable injustice] of the rich man’s luxury [at the expense of] Lazarus’ painful poverty.”59Ibid., 235–6. To better understand the unity of this parable, we should note the “parallels to the motif of a dead person’s return with a message for the living.”60Bauckham, 236. It is helpful to understand that “in ancient cultures tales of revelations from the dead were common,” and it was “always told with a purpose of bringing some [moral] improvement to the life of the living,” such as repentance.61Papaioannou, 119–21. The earliest instance of this kind of revelation from the afterlife was Plato’s tale of Er the Pamphylian. In battle, Er was killed, and a few days later, just as he was about to be burned at his funeral, he was revived and “recounted what he had seen as a disembodied spirit in the realm of the dead before being returned to his body.”62Bauckham, 237. While he was in the realm of the dead, he witnessed “a judgment scene at which the good were sent to heaven and the wicked were punished.”63Papaioannou, 119. Then he was told to go back to the land of the living and report what he had seen. Many others, such as Plutarch, Clearchus of Soli, and Lucian were influenced by Plato’s tale and thus developed their own tales of the afterlife. These tales, “though from a pagan background, quickly found their way into Jewish and Christian tradition,” such as the story of Jannes and Jambres in the Targums.64Ibid., 120. According to Jewish custom, these were the “two Egyptian magician brothers who . . . opposed Moses in the court of Pharaoh.”65Ibid. Jannes and Jambres are mentioned by the Apostle Paul in 2 Tim 3:8. Because of their opposition to Moses, Jannes dies, and “Jambres calls his spirit up from Hades through necromancy and Jannes informs him of his sufferings and of the justice of his fate for opposing God’s work.”66Papaioannou, 120. Jannes pleads with Jambres to repent so he can avoid also going to Hades, but due to the “fragmentary text,” the rest of the story is unknown.67Bauckham, 241. The features in the above story are quite like our Lukan parable, but there are differences worth noting first. Dives does not offer to go to his five brothers himself, but requests Abraham to send Lazarus on his behalf. Also, Dives does not imagine “necromancy” as being the means of this return.68Ibid., 242. But the similarities are close enough, and “as a parallel to the parable, it confirms that the motif [of a return from death] employed in Luke 16:27–28 . . . could have been familiar to Jesus’ hearers from a traditional Jewish story.”69Ibid. The purpose of Dives’ request to send Lazarus to his five brothers is to reveal to them the fate of Dives in Hades, and to give them a strong warning that if they do not repent, they will also join him there. A request such as this would not have been unfamiliar to the hearers of this kind of story, and the rejection of Dives’ request would have come as a surprise to the hearer. It is often at these points, where the story “takes an unexpected turn which prove peculiarly illuminating as to the meaning of Jesus’ parables.”70Ibid., 244. Therefore, we must pay close attention to Abraham’s refusal to grant Dives’ request. Any of Jesus’ contemporaries who would have been “familiar with the way the folkloric motifs in the story were generally used” would have expected Abraham to honor Dives’ request, and send Lazarus to his brothers and they would have repented.71Ibid., 245. Abraham refused to grant Dives’ brothers “an apocalyptic revelation of the fate of the dead, such as Si-Osiris gave to Setme, or Jannes to Jambres.”72Ibid. Therefore, “the parable’s own account of the fates of the rich man and Lazarus (vv. 22–26) is deprived of the status of such a revelation.”73Ibid. The parable essentially denies “itself of any claim to offer an apocalyptic glimpse” into details of the afterlife and its geography.74Ibid. Furthermore, the parable points to the “finality of death, and the futility of thinking that someone coming back from the dead could lead to the repentance of the living.”75Middleton, 232. The point of the parable is not to gratify the interest in “Hades, Hell, Heaven, ‘the intermediate state,’”76George W. Knight, “Luke 16:19–31: The Rich Man and Lazarus,” Review and Expositor 94 (1997): 281. or about “man’s anthropological condition after death.”77Murray J. Harris, “The New Testament View of Life After Death,” Themelios 11.2 (January 1986): 47–52. Jesus does not provide us teaching on the afterlife any more than he does “on correct agricultural practices (Luke 15:4–6) or investing tips (Luke 16:1–13).”78Tony Wright, “Death, the Dead and the Underworld in Biblical Theology, Part 2,” Churchman 122 (2008): 114. The point of the parable is focused on the Pharisees, who have “disregarded the will of God so clearly expressed in the Scriptures [of Moses and the prophets], by neglecting the poor” in their midst.79 Green, 610. The Scriptures are “very much concerned with the state of the poor.”80Joel B. Green, “Eschatology and the Nature of Humans: A Reconsideration of Pertinent Biblical Evidence,” Science & Christian Belief 14 (2002): 42. All they need to do to recognize the injustice of their actions, is to listen to Moses and the prophets “as the only reliable witness for repentance.”81Papaioannou, 135. If they do not even do that, “no purported revelation of the fate of the dead will convince them.”82Bauckham, 246. The parable is not important for what it portrays, since its context is within the well known tales from the afterlife, but rather, “what it rejects—all tales of supposed revelations from the dead.”83Papaioannou, 135. For Abraham to refuse a return from the dead, the parable directs our “attention away from an apocalyptic revelation of the afterlife back to the inexcusable injustice of the coexistence of rich and poor” in this life.84Bauckham, 246. In examining the Lukan context to Jesus’ parable and its cultural and sociological implications, the purpose of the parable clearly serves as a harsh polemic against the Pharisees for their hypocritical attitudes of their wealth and blatant ignorance of the poor in their midst. 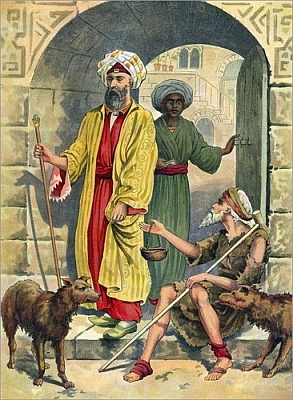 Furthermore, when considered against the background of extra-biblical parallels, it is revealed that the other purpose of the parable is not to provide the reader an eschatological revelation of Hades, but rather, to point the reader to the sufficiency of the Scriptures to show how to love the poor and needy in our midst. 1. ￪ Kim Papaioannou, The Geography of Hell in the Teaching of Jesus: Gehena, Hades, the Abyss, the Outer Darkness Where There Is Weeping and Gnashing of Teeth (Pickwick, 2013), 113. 2. ￪ Unless otherwise noted, all biblical passages referenced are in the New International Version (Grand Rapids, MI: Zondervan Publishing House, 1984). 5. ￪ Luke 14:8–11 and 14:16–24. 9. ￪ Darrell L. Bock, “The Parable of the Rich Man and Lazarus and the Ethics of Jesus,” Southwestern Journal of Theology 40 (Fall 1997): 64. 10. ￪ Grant R. Osborne, The Hermeneutical Spiral: A Comprehensive Introduction to Biblical Interpretation, Revised and Expanded (Intervarsity, 2006), 534. 13. ￪ Joel B. Green, The Gospel of Luke, NICNT (Eerdmans, 1997), 606. 14. ￪ Edward William Fudge, The Fire That Consumes: A Biblical and Historical Study of the Doctrine of Final Punishment, 3rd ed. (Cascade, 2011), 149. Luke 12:16; 14:16; 15:11; 16:1; 16:19; 18:1-2; 19:11-12; 20:9. 16. ￪ The Rich Man is “often called ‘Dives,’ because that’s the Latin word for ‘rich.’” N. T. Wright, Luke For Everyone (Westminster John Knox, 2004), 200. 18. ￪ Kenneth E. Bailey, Jesus Through Middle Eastern Eyes: Cultural Studies in the Gospels (Intervarsity, 2008), 382. 20. ￪ Ian H. Marshall, The Gospel of Luke (Paternoster, 1978), 635. 25. 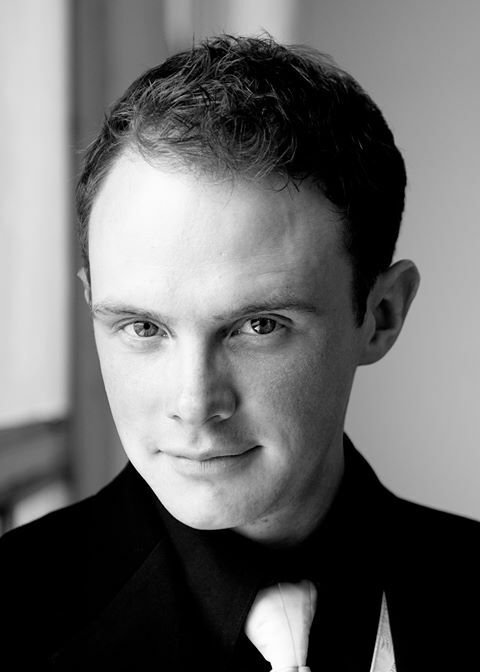 ￪ It is unknown whether the licking of Lazarus’ sores by the dogs was a form of continued abuse (Joel Green) or one of relief to ease the pain (Kenneth Bailey). Discussion surrounds the usage of the word ἀλλά and whether it functions as a similarity or contrast (e.g., Are the dogs in continuity or contrast with Dives’ situation?). 28. ￪ Bailey, 383; italics in original. 32. ￪ Ferdinand O. Regalado, “The Jewish Background of the Parable of the Rich Man and Lazarus,” Asia Journal of Theology 16 (2002): 345. 35. ￪ Matt 11:23; 16:18; Luke 10:15; 16:23; Acts 2:27, 31; Rev 1:18; 6:8; 20:13, 14. 36. ￪ Matt 5:22; 5:29; 5:30; 10:28; 18:9; 23:15; 23:33; Mark 9:43; 9:45; 9:47; Luke 12:5; Jas 3:6. 38. ￪ Moisés Silva, ed., “ᾅδης G87 (hadēs), Hades, the underworld, the realm of the dead,” New International Dictionary of New Testament Theology and Exegesis (Zondervan, 2014), 1:153. Examples of this are seen in Ps 6:5; 30:9; 115:17; Isa 38:18. 42. ￪ Fudge, 152; italics in original. 44. ￪ Richard Bauckham, “The Rich Man and Lazarus: The Parable and the Parallels,” New Testament Studies 37 (1991): 225. 48. ￪ The similarities are not in the story about Si-Osiris and Setme and the vanquishing of the Ethiopian magician, but in the tour of Amente and the great reversal at death. 52. ￪ Ronald F. Hock, “Lazarus and Micyllus: Greco-Roman Backgrounds to Luke 16:19–31,” Journal of Biblical Literature 106 (Sept. 1987): 455. 53. ￪ Richard J. Middleton, A New Heaven and a New Earth: Reclaiming Biblical Eschatology (Baker Academic, 2014), 231–2. 54. ￪ Larry Kreitzer, “Luke 16:19–31 and 1 Enoch 22,” Expository Times 103 (1992): 139–2. 65. ￪ Ibid. Jannes and Jambres are mentioned by the Apostle Paul in 2 Tim 3:8. 76. ￪ George W. Knight, “Luke 16:19–31: The Rich Man and Lazarus,” Review and Expositor 94 (1997): 281. 77. ￪ Murray J. Harris, “The New Testament View of Life After Death,” Themelios 11.2 (January 1986): 47–52. 78. ￪ Tony Wright, “Death, the Dead and the Underworld in Biblical Theology, Part 2,” Churchman 122 (2008): 114. 80. ￪ Joel B. Green, “Eschatology and the Nature of Humans: A Reconsideration of Pertinent Biblical Evidence,” Science & Christian Belief 14 (2002): 42. NextRethinking Hell Conference—Next Month in Auckland!